The Land of Nipigon offers many adventures, not just fishing and hunting. 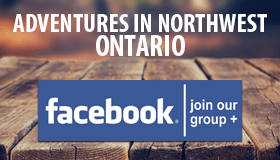 We have rock climbing, trail walking, canoe/kayaking, waterfalls, wildlife and much much more. Download the full guidebook! 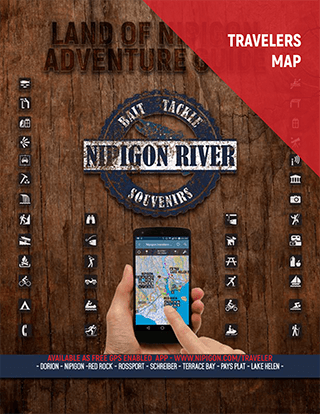 Maps, information, pictures and advice to visiting the Land of Nipigon. 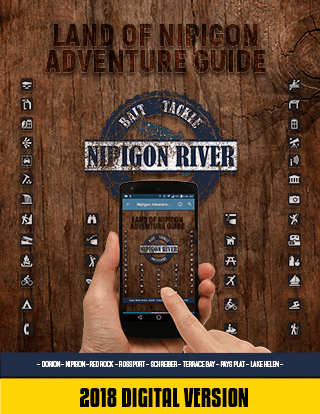 GPS Enabled Smartmap (Requires Avenza Offline Map App) PDF downloadable Version of the Land of Nipigon. Complete with fishing locations, things to do, things to see. Multiple hiking trails of various degrees of difficulty and length are available throughout the area. An area famous for its Brook Trout also has 12 other fish species to fish for. Some of the best and varied freshwater fishing offered anywhere in the world. 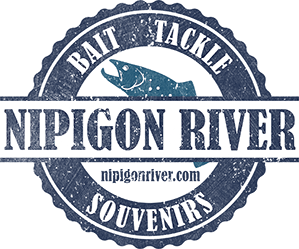 Stop at the Nipigon River Bait Shop for all your fishing needs. From the Ouimet Canyon, the Palisades, Kama Hill to simply driving highway 17 along Lake Superior. Some of Ontario’s most stunning scenery is here. The Boreal forest is home to many animals, and the Nipigon Area allows for excellent viewing opportunities. Birdwatching becomes a great past time as they flock to the area each spring. Hundreds of small inland lakes, lazy rivers, fast rivers and even Lake Superior offer some great opportunities to see the area from a different perspective. Lofquist Public Beach, Splash Pads in Nipigon and Red Rock as well as public pools in Nipigon, Red Rock and Terrace Bay. Oh, and the Beaches. Nipigon, Red Rock and Rossport all offer boating excursions either fishing or sightseeing. Road tours are also available through Nipigon River Bait Shop. Nipigon, Terrace Bay and Greenstone all have quiet golf courses for you to relax on. We have thousands of kilometres of forest roads in various conditions for you to explore. Many of these allow access to the Boreal forest most people never see. From the small beach at Lofquist in Nipigon to Rossport, Schreiber and Terrace Bay beaches on Lake Superior. Poplar Lodge on Lake Nipigon has an extensive sandy beach and trail as well. No hustle and bustle, just relax and take it in.